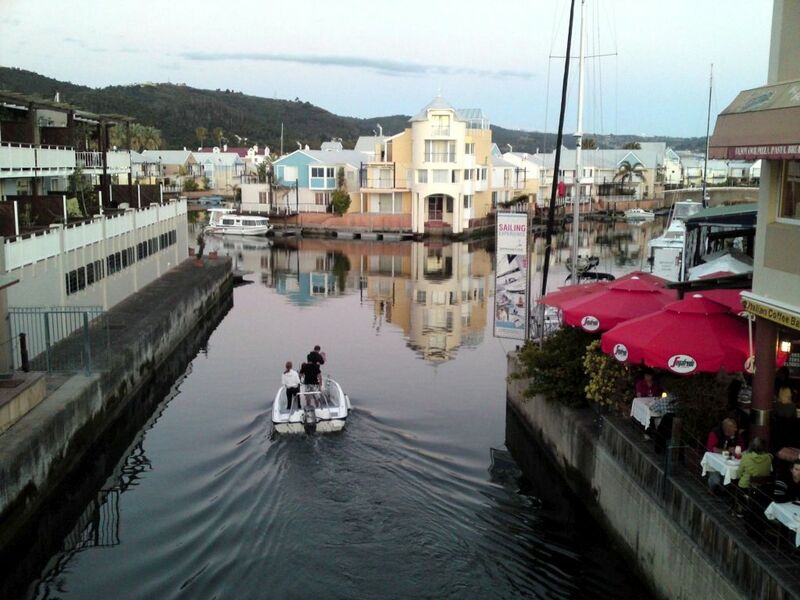 Come and enjoy an unforgettable Interlude in breathtaking Knysna. 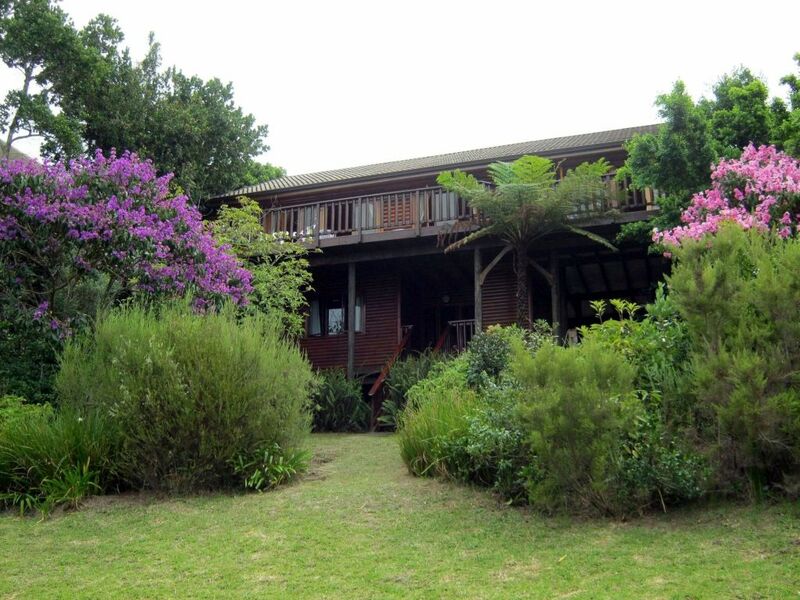 This Knysna Self Catering House has 3 bedrooms and is an absolutely charming holiday home. 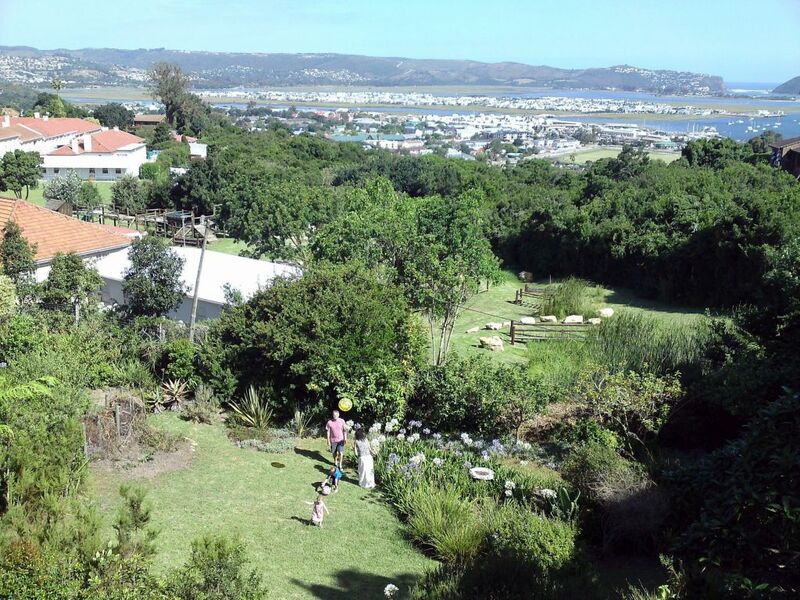 Interlude is situated on the hills above Knysna in an up-market safe suburb with the most beautiful views of the Lagoon and The Heads. There is a magical moment that you can just feel as you walk into this charming cottage - that is all yours to enjoy. Lodging Rates are best value in town for an entire house / villa! So what's the holiday accommodation like - "Wow! What a view!" Deck: Kick back and relax, sip your sundowners, light the barbecue and soak in the amazing view. 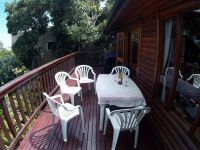 Accommodation: There are 3 bright bedrooms (main en-suite, two full bathrooms with Oregon pine furnishings) and a great living and dining area with a charming cherry wood modern kitchen, a quaint guest toilet and a separate study with office desk and leather chair. Private Garden: For you and your children to enjoy. 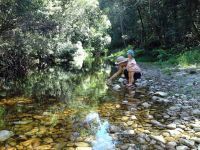 Child Friendly: This luxury holiday house is child friendly and suitable for a family of up to 6. Couples / Honeymooners are accommodated at 1/3 off for the main floor (main bedroom en-suite, the living area and the garden). The home is still let out as a unit to ensure your privacy - see policy. Weekend 3 day Special: Outside of Peak season, get your Sunday night at half price. Interlude Chalet is a self catering house but we do supply linen, bath towels and complimentary tea and coffee. Please bring your own beach towels. If you stay for more than 1 night, a bottle of wine will be chilling in the refrigerator. 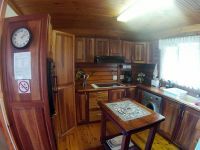 Self contained modern Kitchen with all the mod-cons including a dishwasher. Heated towel rails in each bathroom. Separate study with office desk and leather chair. Uncapped Wi-Fi available throughout the house. TV, DVD/Video player and a radio/tape/CD player. Heaters and Fans to keep you warm in winter and cool in summer. 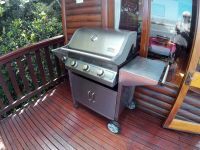 A magnificent stainless steel gas barbecue. Private Safe for your valuables. Private parking is available for two cars. Within walking distance to town centre. Short drive to all the holiday activities you could wish for. 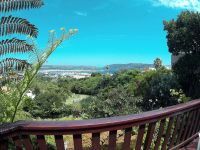 Interlude Self Catering Chalet is centrally situated for the Garden Route and is minutes away from the central malls of Knysna, the Lagoon and the Waterfront. The protected beaches of Leisure Isle or the Ocean beaches are a short drive away. 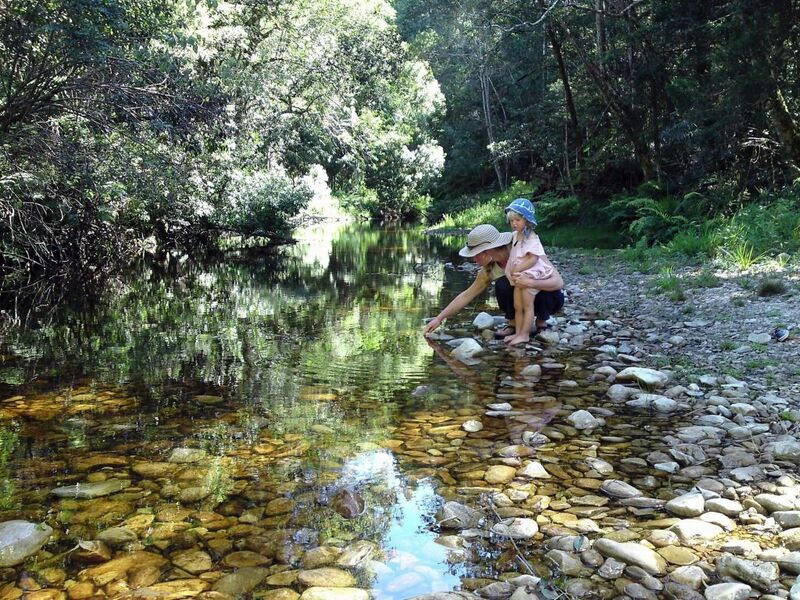 The activities cater for families young and old, nature lovers, honeymooners, adventure seekers and outdoor enthusiasts and this charming log home is perfect for those that just want to sit and relax and soak in the view! 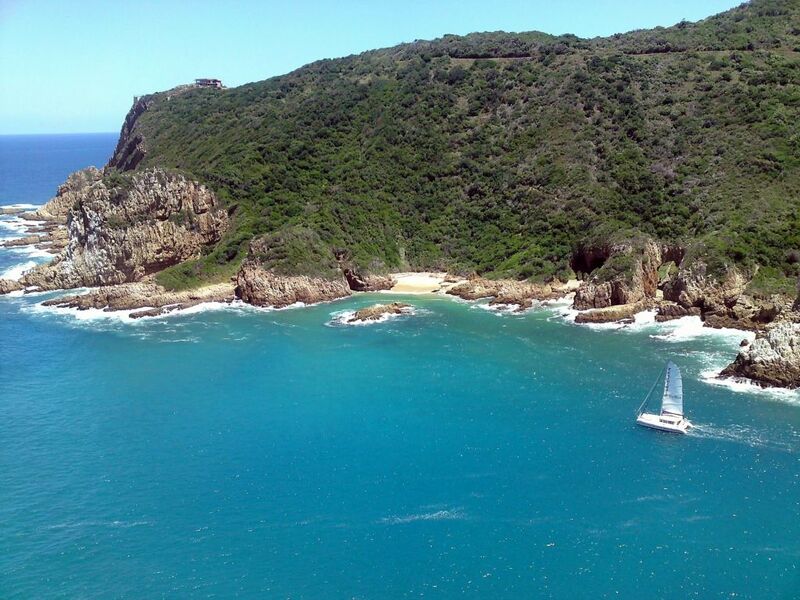 Take a short drive to all the holiday activities, beaches and sight seeing, Knysna Forest and dozens of restaurants. Taking a boat ride to do the Featherbed Nature Reserve walk or a sail boat out the Heads or motor boat out to watch the dolphins or whales or the John Ben cruise for a meal, is a must. 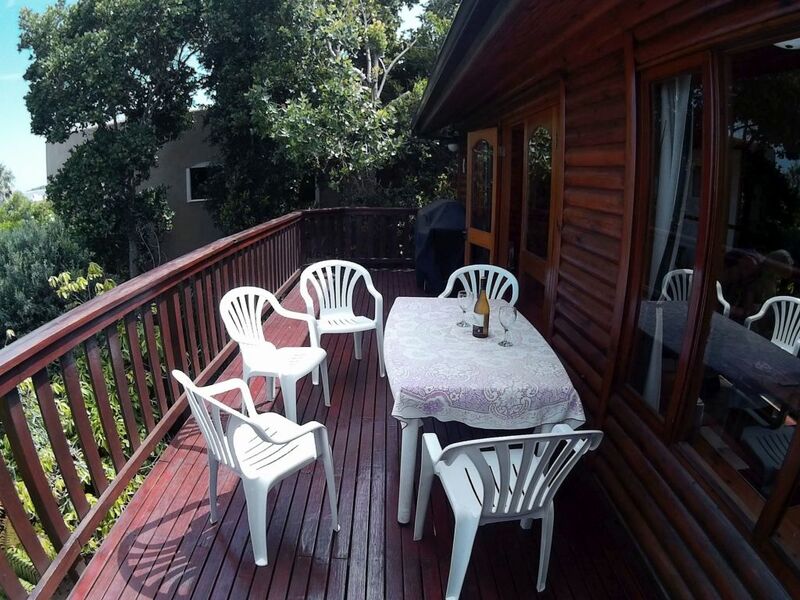 Interlude Chalet is ideal for Mountain bike or running enthusiasts taking part in the regular races and particularly the famous Knysna Oyster Festival Knysna marathon and mountain bike Uniondale race. It's a straight 5 stars from me. The house really has an inexplicable "home" feeling to it. 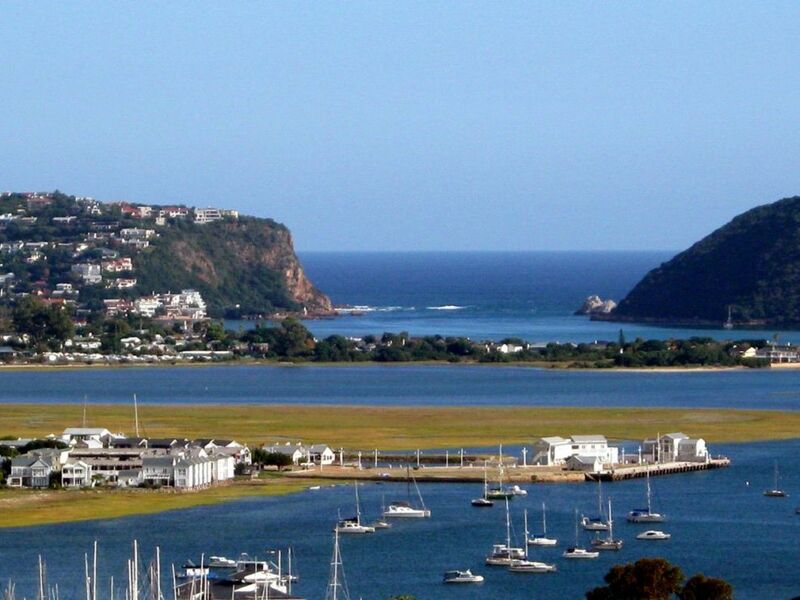 Surrounded with a great view from the balcony and of course, the peace and silence Knysna has to offer. :) Definitely coming back. PS: Thank you so much Julez, you were awesome. Great place, great view perfect for families.. Thanks John and Lynne, Happy New years we had a fantastic time at your house, just a perfect place to stay for a few days, great indoor and outdoor space. Perfect for families. And also thanks for the bottle of wine and all your hospitality. We will def stay with you the next time we are in Kynsna. Kind regards, Inez. 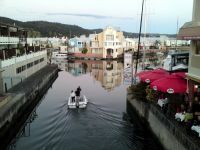 Come and enjoy a most memorable Interlude in beautiful Knysna - you can expect a warm Knysna welcome.